Yesterday I was reminded of the 10th birthday of the well-known Matrix movie franchise that happened some days ago. The news of this birthday happened to be an immediate trigger in my mind for something related to it: an image. You know, normally I really don’t read much into these 10th of this and 125th of that. The only thing you learn is the time something was created because – in my eyes – those numbers don’t tell you anything about the quality of something. Heck, even SANTA CLAUSE CONQUERS THE MARTIANS has an anniversary now and then and nobody would listen or care. Nevertheless this time is special in a way because this 10th anniversary of The Matrix is the perfect moment to humbly present you a movie poster art I worked on some time ago and happens to be for the MATRIX franchise. While I love the first installment of this franchise and am able to barely like the action scenes of the third movie, some of the movie posters, and especially the various DVD Cover Arts, are not that mind-blowing in my eyes. In fact some are even mind-blowingly bad, for example the DVD cover art for MATRIX REVOLUTIONS, which is a cheap and simple Photoshop-job of “yahooo-we-cannot-decide-so-let’s-put-everything-together”. So, some months ago I decided to give it a try – to create my own poster for the Matrix to counter this awfulness. 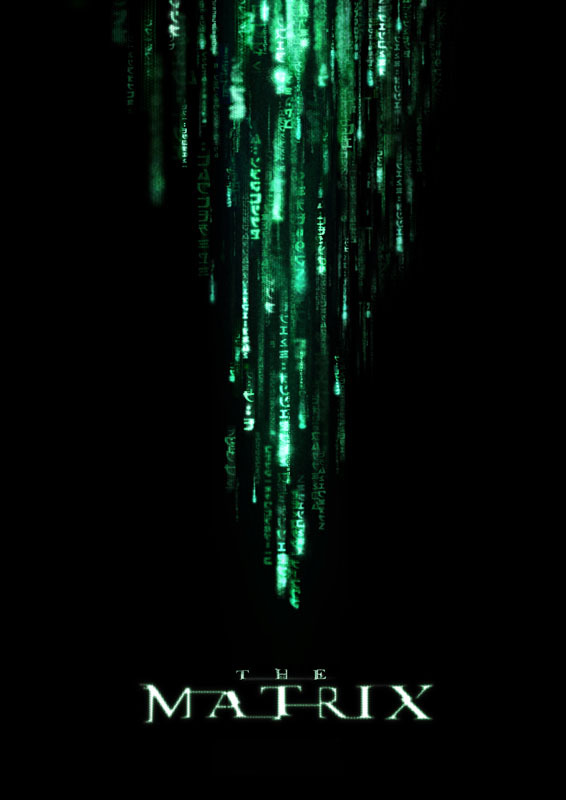 The result you see above is in many aspects a slightly different version of some teaser posters that were published for the Matrix franchise which also use the stylish coding as the main visual center. The work was done completely in Photoshop and since I love working in layers I ended up with several hundreds of them. They were even so numerous I had to flatten everything to one layer once in the middle because the CPU and RAM couldn’t handle it effectively anymore. The reason for this high number of layers is the original resolution of 300dpi I worked with. To create a high amount of detail I used a “television effect” that I placed above the normal coding and added several layers of glow to each of those groups to enhance the effect even further. The following image shows a small full resolution detail so you can understand better what I mean. What do you think of the result? Should I add something or delete something? Or is it good as it is? I congratulate you on your work, i must say, from what i can see you did an EXCELLENT job. I especially love the second one, i cannot see anything being better than that. Thanks a lot for the praise. Glad you like it. You even might have saved me from a serious problem, because even though I finished the poster some time ago I really was always on the verge of redoing it. Unfortunately you failed to realize that the “code” falls across the whole picture when it starts ! Sorry but you Poster does not look like The Matrix Code in my book. Sorry. Fred O. Sorry to disappoint you but I didn’t really fail. Of course I know that the code starts to fall everywhere at the same time. But do I have to follow that and some other formulas regarding the code to the last detail? Nope. I always envisioned my poster showing the beginning of the matrix, in other words: the booting process (or whatever you want to call it). Therefore the code chaotically starts at one point. By the way: I think at the beginning of Matrix Revolutions you see one strand of code rain far ahead of every other strands. In a nitpicking way that’s false, too. But they decided to go with it. So when even the creators take some liberties regarding the design, I think I also can. I am sure this piece of writing has touched all the internet users, its really really pleasant piece of writing on building up new webpage. How can I get a copy of your creation so I can hang it in my house?! 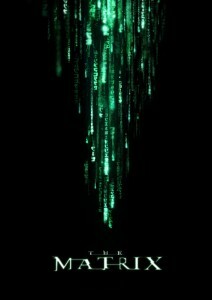 10th Matrix movie, a great movie and fun experience that can be brought to us. matrix of a great movie and excellent performance. Amazing work man. Any chance to get Hi res version of this? I would like to print it and frame it for my room.